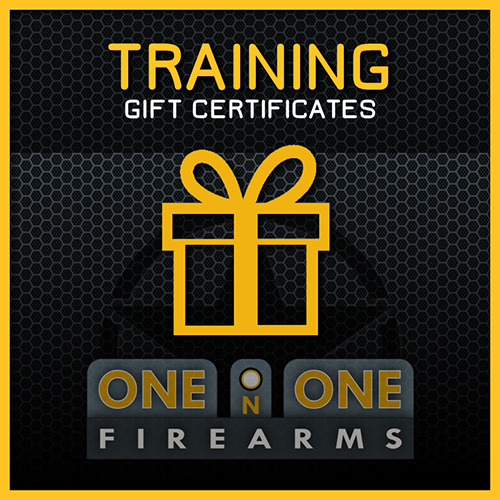 One On One Firearms is offering a Gift Certificate so you can give the gift of training to your loved ones. Here’s how it works. When you purches a Gift Certificate, One on One Firearms will mail you a handsome Gift Certificate for you to present as a gift. Class prices are determined at the time the Student books the class with One On One Firearms LLC. If student is ready to take a more advanced class (prerequisites apply), or if prices go up in the future, student may apply the Gift Certificate towards the class they wish to attend, however the Student will have to make up any balance. The Gift Certificate is transferable.